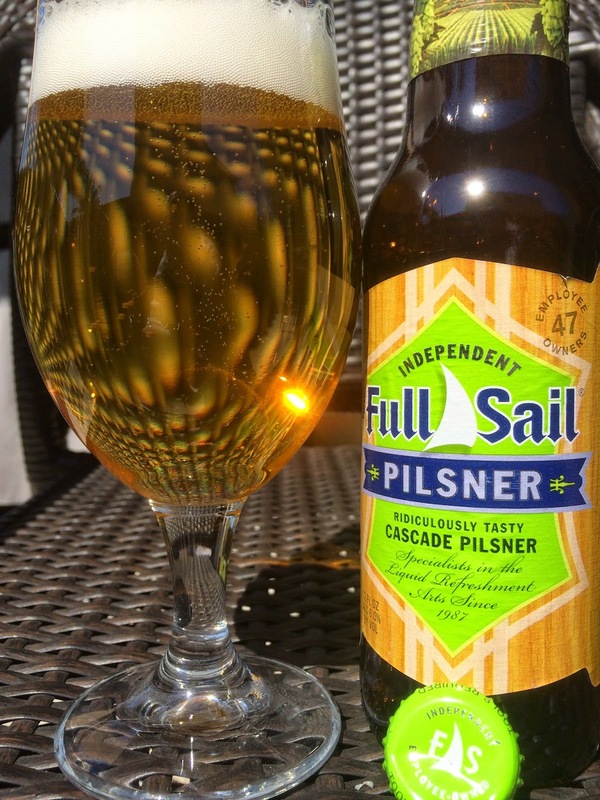 Hood River, Oregon's Full Sail Brewing Company has a "Ridiculously Tasty Cascade Pilsner" for you to try! That's what the label says! The label also goes out of its way to let you know the brewery is independent and owned by its 47 employee owners (the same as when I first checked out their IPA in 2009). Actually, the number is 78 employee owners now, but there's news swirling that that arrangement may go away with a merger of sorts. Drink by 05/04/2015. 6.0% alcohol. Lemony, lightly hoppy aroma. Lemony flavors with a nice bitterness. Creamy carbonation. Light alcohol dryness at the finish. Refreshing though very one note boring. That's it. Just fine.